We had an overflow crowd for our April meeting in Clark Hall on the Case-Western Reserve Campus, since it had been advertised in The Cleveland Plain Dealer, and on a local radio station. Our guests were Karen Doornebos, author of Definitely Not Mr. Darcy, and Sandy Lerner, who writes under the name of Ava Farmer. Ms. Lerner’s book is Second Impressions. She also is the founder of the Chawton House Library. Each author discussed her work and Ms. Lerner told us about her desire to preserve writings by the approximately 3,000 women who wrote during the 19th century. The ladies had a question and answer period and autographed their books for us. 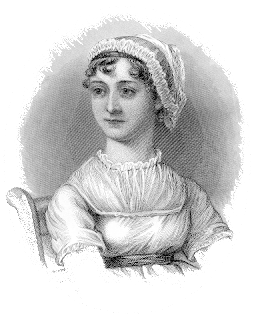 Jane Austen Books was also on hand with a sampling of their wares. Following the meeting the speakers and regular members were invited to the home of JoAnne Podis, where we enjoyed discussing our successful event!